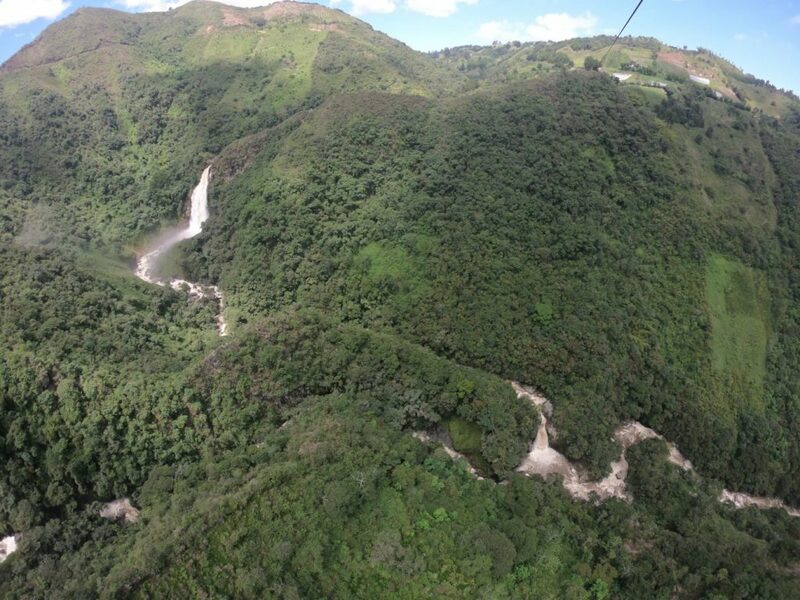 Fly twice on Colombia’s longest zipline over deep river canyons and giant waterfalls. Your professionally specialized guide will make sure you are safe so you fly carefree! Your adventure continues with a 1 ½ hour jungle walk to the base of an 86 meters waterfall where you can swim in natural pool. Hike back up and enjoy a well-deserved lunch at a local restaurant with an incredible vista! This trip’s fitness level is rated a 3 out of 5. Several moderate physical activities raise your heart beat on this trip. A good level of physical fitness is required. After breakfast, meet your professional guides 8:00 a.m. at our offices near Poblado (Cra. 43e #11a-13, Medellín). 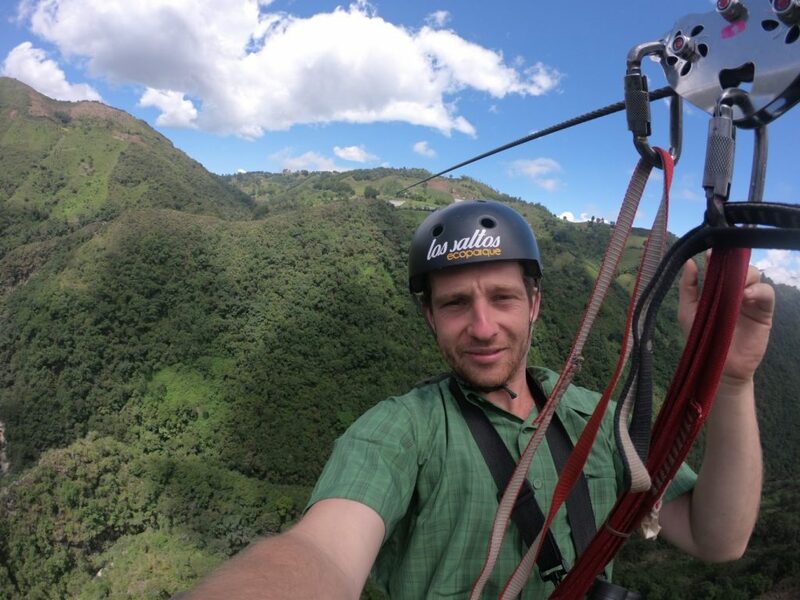 Our trekking and ziplining guide greets you to drive 1 ½ hours to the trailhead of the zip line canopy tour, located in the municipalities of La Ceja and Abejorral. Before starting the canopy tour, your specialized guide will go over a gear safety check and explain to you the zip line system. 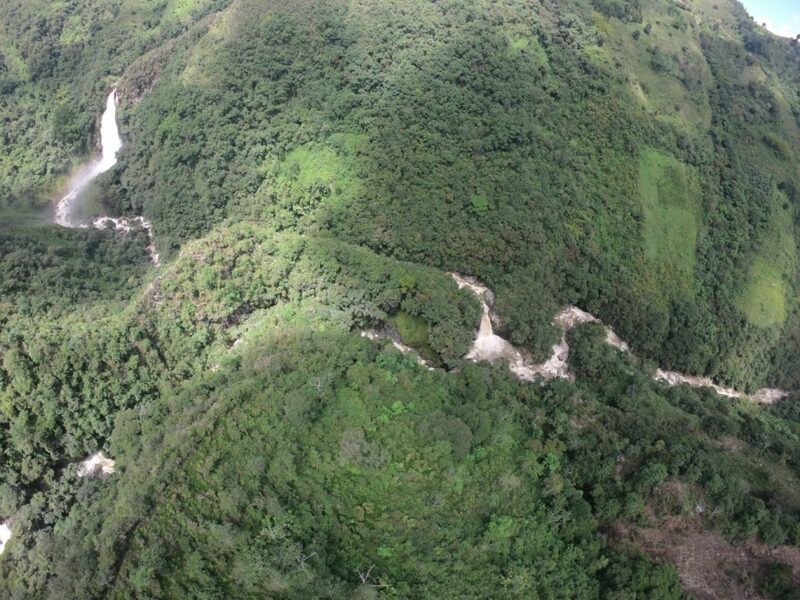 Gear up and zipline over the Buey and Piedras Rivers canyons. 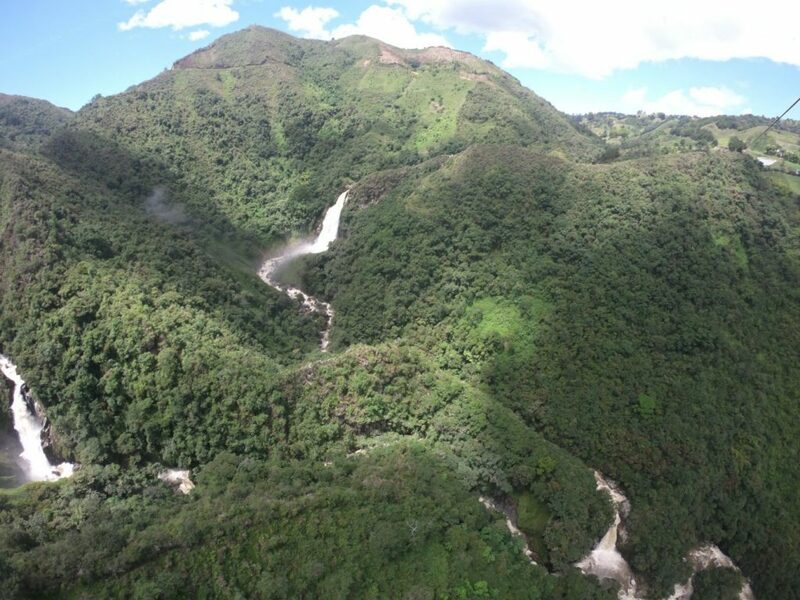 Fly for over 800 meters and get stunning view over the waterfalls and deep canyons. Once on the other side, the adventure continues with a 1 ½ hour jungle trek to the base of a waterfall or the choice to relax. If you go on the waterfall hike, enjoy the pool at the base of the fall and cool off in the mist. 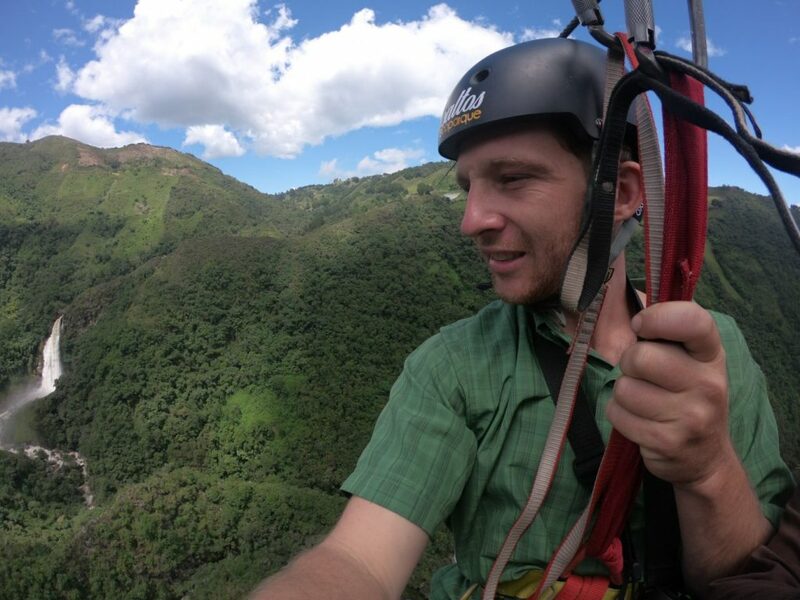 After the hike, go on the zip line for one more “flight” across the river canyons. On your 1 ½ drive back to Medellín, stop for lunch at a local restaurant to taste typical, delicious food of the region. Return to our offices near Poblado (Cra. 43e #11a-13, Medellín) by 4 p.m. Extend your trip by 1 day and 1 night to stay overnight in gorgeous, luxurious rooms overlooking the coffee finca estate. Enjoy the peace and calm of sunset over your balcony with all meals prepared by the estate’s chef and staff. Arrange to go horseback riding the next day, take a five hour trek to the summit of Cerro Bravo Peak, or visit the town of Fredonia and the coffee farm’s music foundation at the local school. Drive 1 ½ hours from the farm in private transport to return to Medellin by 7 pm. * arrival time varies.